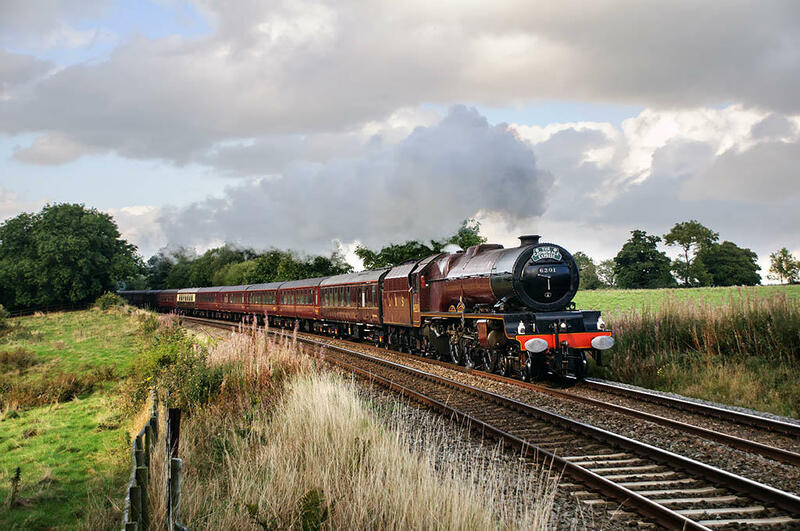 The return “Cathedrals Express”, hauled by 6201 “Princess Elizabeth”, going well on the climb to Church Stretton, seen between Leebotwood and All Stretton. (I’m sure the diesel at the back wasn’t pushing too hard - was it?) Diesel or no diesel, it’s a fine sight and sound after our damp day at Statfold - it was worth leaving (a little) early.